Changing careers mid-stride is not unusual in this day and age, especially if one becomes dissatisfied and reaches a slump with the day-to-day routine. What is unusual about Barry, however, is not just his old job, but the extreme jump to his new career. Barry, you see, is a hitman. But he’s just discovered what he really wants to do is act. Thus is the premise of HBO’s dark comedy, Barry, which launched its second season on March 31. 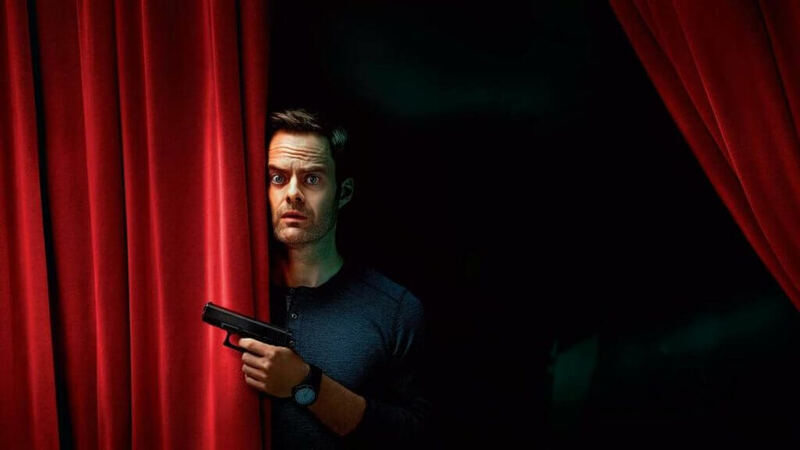 Created by Alec Berg (Silicon Valley) and Bill Hader (Saturday Night Live), the series stars Hader as the titular assassin-turned-actor, who is struggling to leave behind his life of violence for a life on the stage—or at an acting class in Hollywood. The first season found Barry, depressed and dissatisfied with his lonely days as a Midwestern hitman, being sent to sunny L.A. for a job. When he follows his mark into a back lot acting class lead by the pompous but inspiring Gene Couisneau (played by Emmy winner Henry Winkler), his life is forever changed. Barry starts to bond with a group of eager struggling actors—but separating himself from his past is not so easy. A critical hit, the first season of Barry earned three Emmys, including Outstanding Lead Actor in a Comedy Series for Hader and Outstanding Supporting Actor in a Comedy Series for Winkler. It is certified fresh with a 99% critical score on the popular review site Rotten Tomatoes. In addition to Hader and Winkler, Barry stars Stephen Root (The Man in the High Castle, Office Space) as Barry’s recruiter and handler; Sarah Goldberg (Hindsight) as Sally, Barry’s acting classmate and love interest; and Anthony Carrigan (Gotham) as NoHo Hank, a member of the Chechen mob group who hired Barry to come to L.A. and are less than happy at his new career path. The second season finds Barry further exploring his newfound passion and trying to face his internal feelings about his life as a killer. Plus still facing the looming threat of the Chechen mob and his unhappy handler, as well as some curious Los Angeles detectives that might be too close for comfort. Basically, things have not improved for Barry, but it is still a lot of fun watching him try. Barry is an HBO production, and is available to through HBO NOW, HBO GO, On Demand, and affiliated streaming platforms. While HBO GO is the mobile access point for streaming HBO with a cable login, HBO NOW allows fans to subscribe to HBO without a cable service. HBO NOW is available for $14.99 a month after a 7-day free trial. Both options have apps and websites that allow viewing via laptop, phone, or TV, as well as through devices such as Roku, Google Fire, and Apple TV. Both Amazon Prime and Hulu offer an HBO NOW add-on channel through their sites, at the same rate as the standalone service, including the 7-day free trial. It is also available as an add-on with PlayStation Vue ($15/month) and a few other services. Other ways to get Barry include purchasing the series by episode or season subscription, from $1.99 – $2.99 an episode or $14.99 – $19.99 a season, via Amazon Prime, Google Play, Vudu, and iTunes.